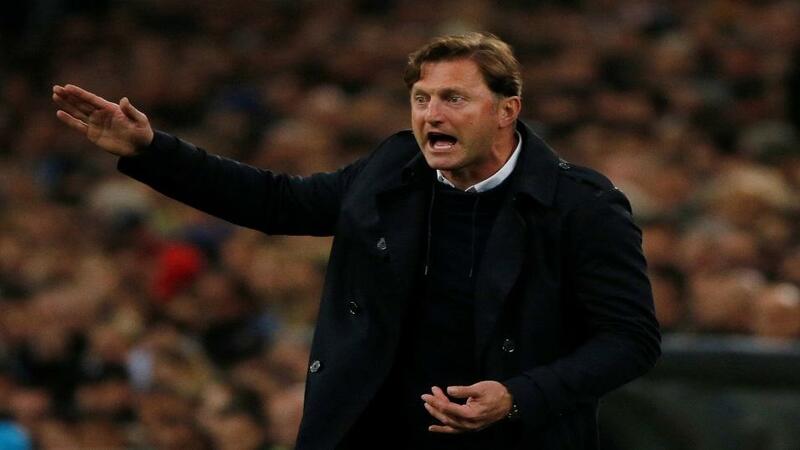 "Hasenhuttl will find a style that works. If it’s ugly for the first few months while he drags the team out of trouble, so be it. Eventually, he’ll play some fast-paced football that’s pleasing on the eye." Since that bit of extreme Alpine scouting, the Austrian has established himself as a versatile and astute coach, a great mix of passion and intelligence. Now, more than two decades after the then-striker had a brief trial with Chelsea, Hasenhuttl is almost certainly moving to England. Having come close to winning promotion against the odds at Unterhaching, Hasenhuttl then proved at Aalen that he could not only successfully fight a relegation battle, but he could then rebuild a team and win promotion. He took over third-tier Aalen at the start of 2011, with the club just a point above the relegation zone. They survived, and Hasenhuttl led the club to promotion the following season. I would argue that his best work was at Bavarian club Ingolstadt. Hasenhuttl took Die Schanzer into the Bundesliga for the first time in their history, but then he superseded that effort by keeping them in the top flight. I've rarely seen such a limited group of players overachieve so consistently as FCI did in that first top-flight season. They fought for every square inch - teams might outplay them, but they would never outwork them and would never battle harder. Think of Al Pacino's speech in Any Given Sunday, and you're getting somewhere close. In that remarkable season, Ingolstadt finished 11th. They scored fewer than a goal per game (33 in 34), but only conceded 42 times. No-one outside the top three that season had a better defensive record. Since Hasenhuttl's contract expired and he went to RB Leipzig, Ingolstadt have not only tumbled out of the Bundesliga, but they have sunk to the bottom of Bundesliga 2. His work at RB Leipzig was dazzling in the sense that it was totally different from what he had done at Ingolstadt. He had a much more talented squad, and he utilised it superbly by playing thrilling football at breakneck speed. Leipzig remarkably finished second in their first ever season in the top flight, and even with the lavish backing of the Red Bull corporation, it was still a barely believable achievement with a young squad that lacked top-flight experience. Hasenhuttl improves players too. The likes of Timo Werner, Emil Forsberg and Naby Keita all flourished in that season, as RBL racked up 66 goals and conceded just 39. Admittedly Hasenhuttl's second campaign at RBL was more difficult - the Austrian was keen to move away from the idea of lightning-fast counter-attacks, and towards a possession-based style that allowed the team to have more control of games. With Keita distracted by his impending move to Liverpool, and Forsberg clearly unsettled by interest from elsewhere, the team lost its consistency. Leipzig finished sixth and reached a Europa League quarter-final, which made for a perfectly acceptable campaign in the eyes of many observers. However, against the backdrop of Hasenhuttl's deteriorating relationship with sporting director Ralf Rangnick, the two parted company. Since leaving Leipzig, Hasenhuttl has since bided his time (he was heavily linked with Bayer Leverkusen just a few weeks ago), and Southampton have pulled off a major coup by bringing him to the south coast. After all, this was a man who was once seriously considered by Arsenal as a potential successor to Arsene Wenger. Hasenhuttl will find a style that works. If it's ugly for the first few months while he drags the team out of trouble, so be it. Eventually, he'll play some fast-paced football that's pleasing on the eye. The main thing is sorting out a Saints defence that is leaking goals left, right and centre. If anyone can sort out a defence, it's Fix-It-Ralph. Saints' odds of [4.5] in the Premier League relegation market are pretty big, so we can't lay that outcome, but you might consider backing a top 10 finish at [10.0]. It's a long shot, but I think Hasenhuttl is set to make a big impact.